The LDM line of rider clothing has been designed and crafted by a team of experienced bikers to bring a collection of fresh new motorbike gear to make you stand out from the crowd, and protect you while you ride. With the range constantly growing in popularity and selection, LDM is gaining a reputation amongst urban and street bikers as the go to brand for comfortable, stylish and affordable clothing to protect them while they tear up the tarmac. The LDM ExoFlex waterproof motorcycle jacket is a staple design for the street and urban riders. Merging a stylish, practical windproof and waterproof softshell jacket appearance with the protective features of a conventional motorcycle jacket. Allowing you to ride, walk and socialise in comfort without the rigid feeling of leathers or heavy textiles. Underneath the urban outer shell is a full DuPont™ Kevlar lining to increase the abrasive resistance making it a hard wearing durable waterproof jacket that gives you peace of mind. Letting you keep your focus on the road. Beneath the Kevlar lining lies a mesh inner shell which houses CE approved EN1621-1 elbow & shoulder protectors and an EN1621-2 back protector held in place with their own secured pockets. Large front waterproof pockets for dry storage along with an easy to access waterproof chest pocket. All this protection in a casual motorcycle jacket shell makes the ExoFlex a must have for urban bikers who like to stand out. LDM ExoFlex hoodies are designed with a snug fit so we advise you choose a slightly larger size if you want to wear underlayers. Pair the the ExoFlex Jacket with the ExoTec Waterproof gloves to really STAND out from the crowd with LDM motorcycle gear. The Avent-X are a step away from the norm from the usual cold weather gloves. These specially designed LDM motorcycle gloves are a shorter, more aggressive style of glove that includes all of the weather prevention features of our popular ExoTec. With even more features. Not everyone wants long gauntlet gloves as soon as the weather gets colder, which is why the Avent-X motorcycle gloves are designed to look and feel good while being practical for whatever type of riding you do. In any weather. 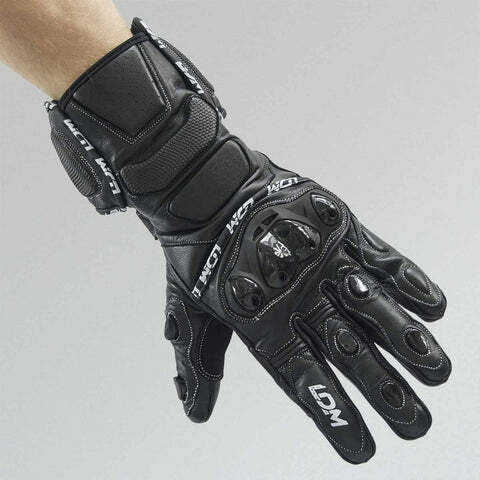 Including stealthy protective pads and touch screen compatible fingers along with a whole host of other features that make these the best cool weather motorcycle gloves in the price range. TPU hidden knuckle and finger protectors. 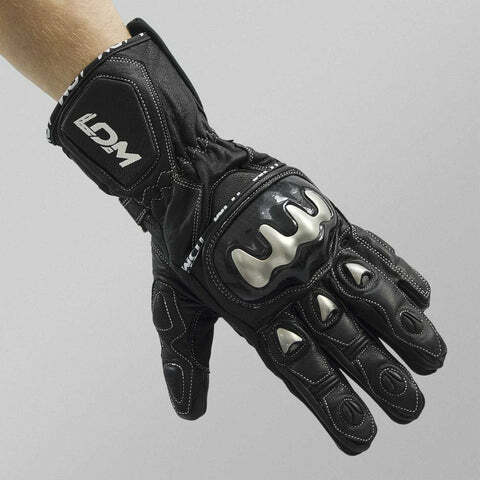 Designed by an experienced group of riders along with our customer's input, LDM gloves are built to provide the protection you need out on the road. Please refer to size chart when selecting the appropriate size for you. LDM ExoFlex hoodies are designed as an over jacket allowing space for under-layers while maintaining a fitted jacket style. The ExoTec are an affordable winter motorcycle glove that doesn't only keep the wet and cold out but keeps you in control no matter what the weather throws at you. A mix of leather and softshell materials makes for a lightweight pair of gloves that look as good as they feel. Look good on your cold commute with the latest style from LDM. Leather and softshell outer materials. Accordion stretch wrist panel for added flexibility. Dual layered leather palm with padding. Matt leather for added palm grip. The LDM Street-R Hoodie & Glove kit offers the style, protection and performance that comes with the Street-R range at an affordable price. 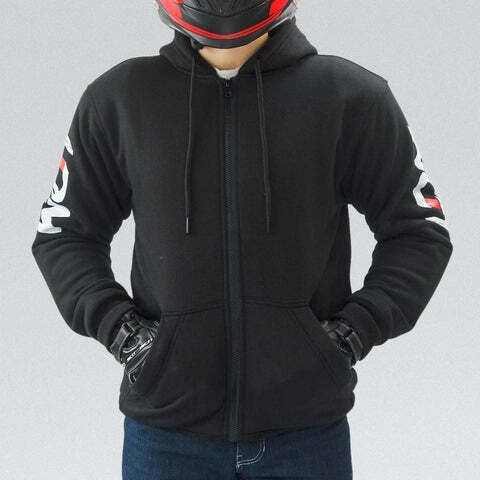 The LDM Street-R Hoodie has been specifically designed for the street bikers, who prefer to dress casually while they are out tearing up the tarmac! 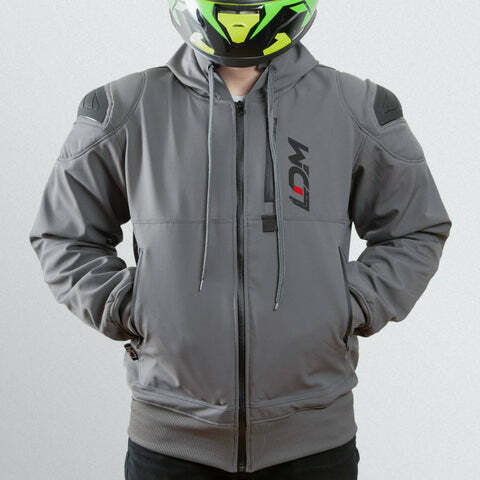 The outer soft fleece of the hoodie gives the impression that you're just wearing a normal hoodie while the kevlar lined inner and CE protectors make sure that you're protected in a crash. Giving you a new way to dress on & off the bike no matter where you ride to. 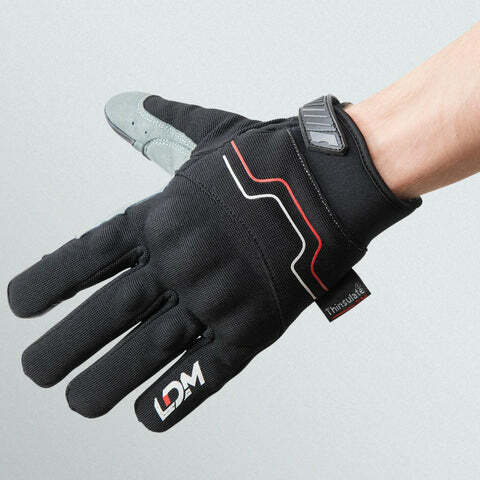 The LDM Street-R is glove that focuses on keeping you in control, with it's full leather build allowing your hands to moving comfortably and operate your levers precisely, while you focus on getting the power down! A truly unique glove amongst the competition, giving you the chance to stand out whether your at the track or on the road! Integrated rubber panels reduce impact on wrist and back of hand. 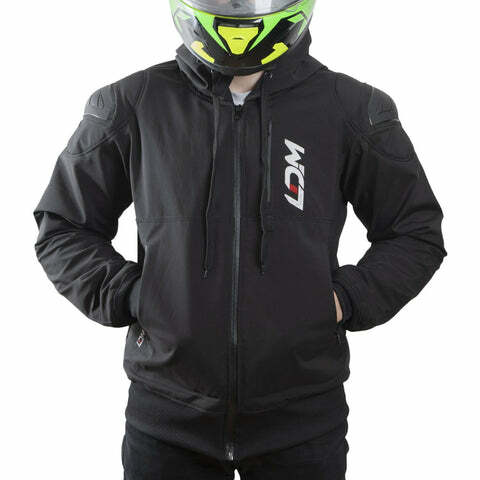 The outer soft fleece of the hoodie gives the impression that you're just wearing a normal hoodie while the kevlar lined inner and CE protectors make sure that you're protected in a crash. Giving you a new way to dress on & off the bike no matter where you ride to. The perfect lightweight motorcycle jacket alternative. Underneath the urban outer shell is a full DuPont Kevlar lining to increase the abrasive resistance making the hoodie harder wearing in the event of a slide out on the road, keeping your skin where it's supposed to be, on your body. Beneath the Kevlar lining lies a mesh inner shell which houses CE approved EN1621-1 elbow & shoulder protectors and a EN1621-2 back protector held in place with their own secured pockets. An integrated pocket for your wallet or phone sits just above the waist band to keep your kit secure and out of the way as you ride. With all this protection and style all in one casual hoodie it is an essential piece of kit for any urban rider. Or wear it over the top of leathers in the colder weather to add an extra layer and stay warm. LDM Street-R hoodies are designed with a looser fit to allow you to wear extra layers underneath the hoodie. Please refer to the size chart when ordering, and select the size according to your chest size. Pair the Street-R hoodie with the Street-R leather gloves to really STAND out from the crowd with LDM motorcycle gear. 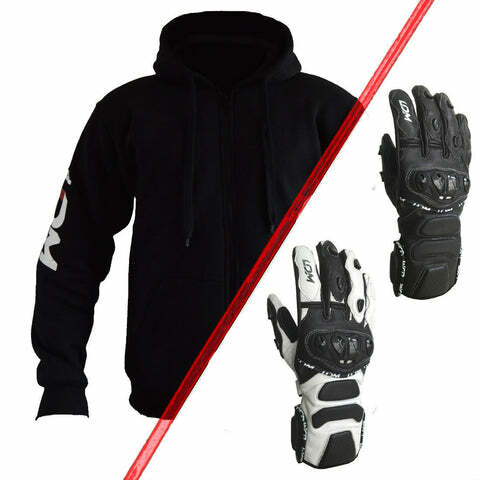 Get your Street-R Hoodie and glove kit and save! 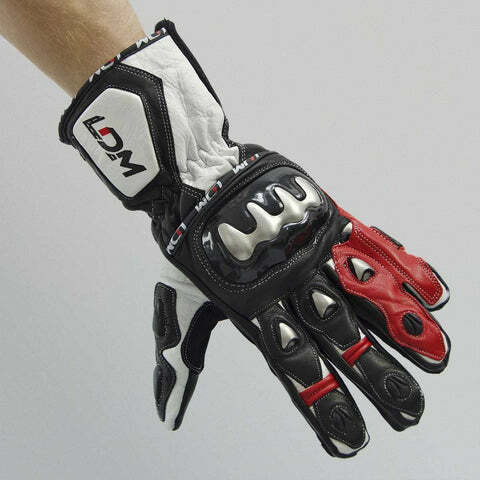 The LDM Flexa are short motorbike gloves with attitude. The shortened cuff stylish design focuses on keeping you in control, and comfortable throughout your ride. With it's full leather build and cool breathable mesh allowing your hands to flex and operate your levers precisely, while you focus on the road ahead! A truly unique motorcycle glove amongst the competition, giving you the chance to stand out whether your cruising the streets or riding with the crew. Perfect for Spring-Summer-Autumn riding weather. leather build allowing your hands to move comfortably and operate your levers precisely, while you focus on getting the power down! A truly unique glove amongst the competition, giving you the chance to stand out whether you're on the street or the track. 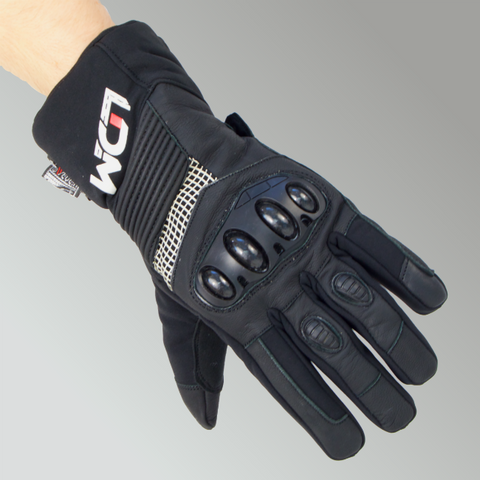 An all-round leather motorcycle gloves that's ideal for Spring, Summer, and Autumn riding. 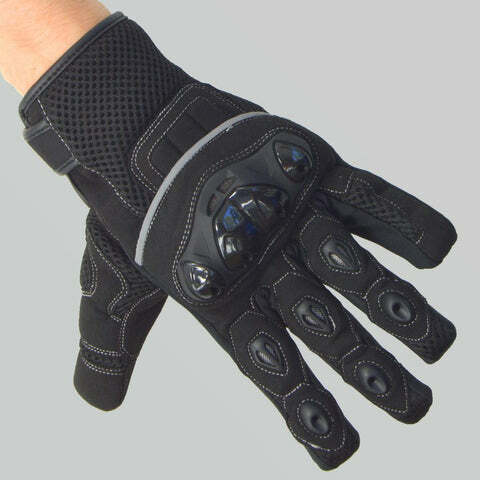 The LDM Street-R is glove that focuses on keeping you in control, with it's full leather build allowing your hands to move comfortably and operate your levers precisely, while you focus on getting the power down! A truly unique glove amongst the competition, giving you the chance to stand out whether your at the track or on the road! Outside the design screams agressive but inside screams comfort! 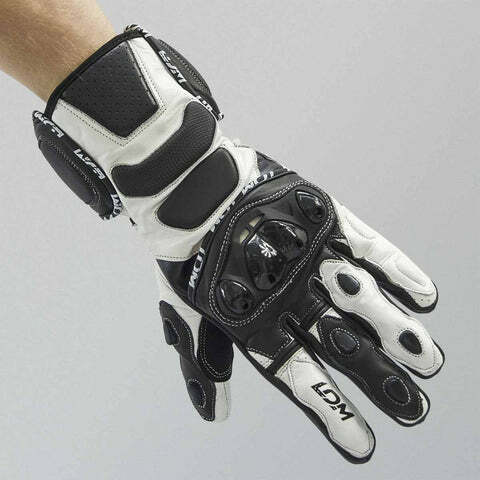 The LDM Corsa X1 is a race style leather motorcycle glove, with the comfort of a regular road use glove! A truly unique glove amongst the competition, giving you the chance to stand out whether you're at the track or on the road! 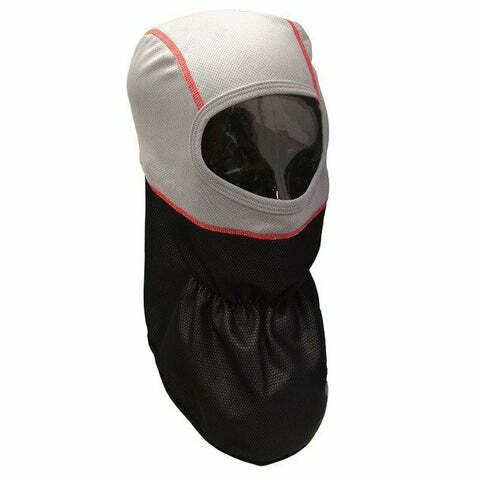 Windproof and waterproof motorcycle balaclava, perfect for cold and winter weather. The top section is constructed from a lightweight, breathable material for optimum comfort, whilst the lower section is made from a fully waterproof material to prevent rain hitting your neck and soaking clothes underneath.